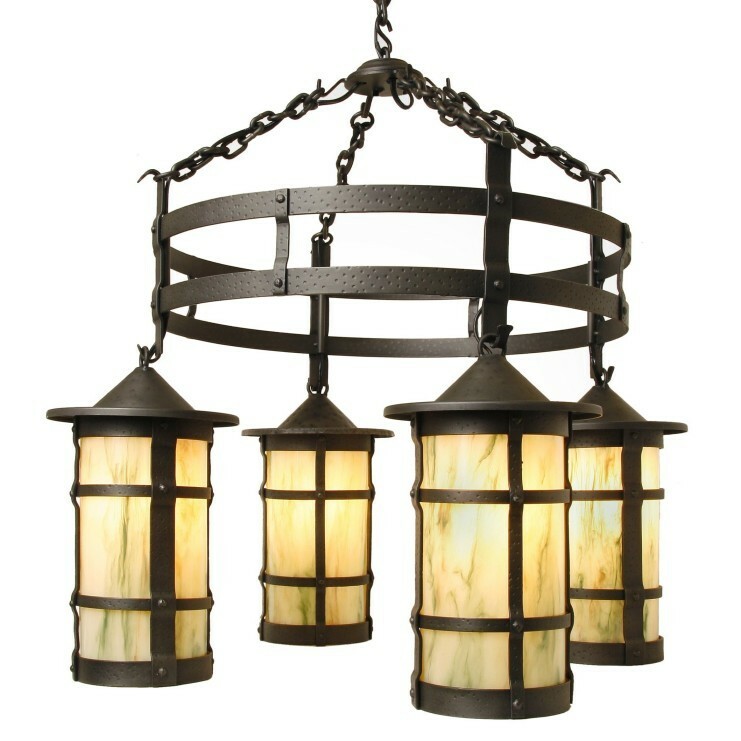 The old world Spanish flavor of the Pasadena San Carlos Chandelier adds charm and a vintage lodge look to this rustic chandelier. The four lanterns are suspended from a hand made armature with a hammered texture. The old world Spanish flavor of the Pasadena San Carlos Chandelier adds charm and a vintage lodge look to this rustic chandelier. 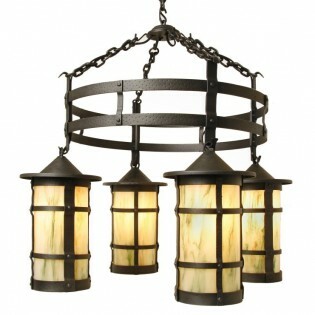 The four lanterns are suspended from a hand made armature with a hammered texture. Crafted by hand from recycled steel this lodge style chandelier uses four 100 watt bulbs and measures 30"W x 29"H, 8' of matching chain and ceiling canopy are included.